...with its combination of brooding passion and powerful resonance that Ax came into his own. This was a masterclass in the infinite graduation of dynamics, the finest pianism and, overall, a grandeur to rival the symphonies. 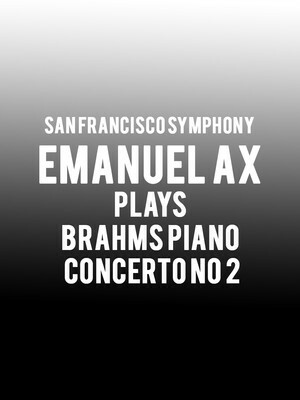 Why See San Francisco Symphony - Emanuel Ax Plays Brahms Piano Concerto No 2? A world class pianist of many distinctions, seven Grammy Awards and the Avery Fisher Prize amongst them, Emanuel Ax has continued to strike awe into his audiences since he embarked on his stellar career in the 70s. 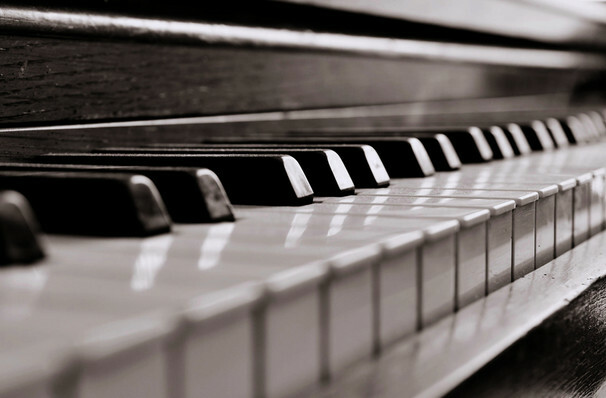 From the Romantic greats to the music of Haydn, Beethoven and Mozart, his diverse repertoire and busy recital schedule are bolstered by a powerful key touch, emotional depth of playing, dextrous finger work and virtuosic brilliance. The Sam Francisco Symphony welcomes the living legend, as well as special guest conductor Andrey Boreyko for a rousing program of Brahms and Zemlinsky. The program begins with Brahms' Piano Concerto No. 2, a sweeping and vastly ambitious epic that revels on the sonorities of its star instrument, one that Brahms knew very well. From tender beauty to fiery bombast and drama, the concerto culminates in a thrilling finale that may just knock your socks off. This is followed by modern Austrian composer Alexander von Zemlinksy's The Mermaid, a vividly orchestrated Romantic symphonic poem based on the fairy tale by Hans Christian Anderson. Sound good to you? Share this page on social media and let your friends know about San Francisco Symphony - Emanuel Ax Plays Brahms Piano Concerto No 2 at Davies Symphony Hall. Please note: The term Davies Symphony Hall and/or San Francisco Symphony - Emanuel Ax Plays Brahms Piano Concerto No 2 as well as all associated graphics, logos, and/or other trademarks, tradenames or copyrights are the property of the Davies Symphony Hall and/or San Francisco Symphony - Emanuel Ax Plays Brahms Piano Concerto No 2 and are used herein for factual descriptive purposes only. We are in no way associated with or authorized by the Davies Symphony Hall and/or San Francisco Symphony - Emanuel Ax Plays Brahms Piano Concerto No 2 and neither that entity nor any of its affiliates have licensed or endorsed us to sell tickets, goods and or services in conjunction with their events.